til i became a vegetarian. as is their chocolate milkshake -- but you already knew that. but one thing i didn't know about: those spectacular johnny rockets hats! i'm all about them. and how could i not be? 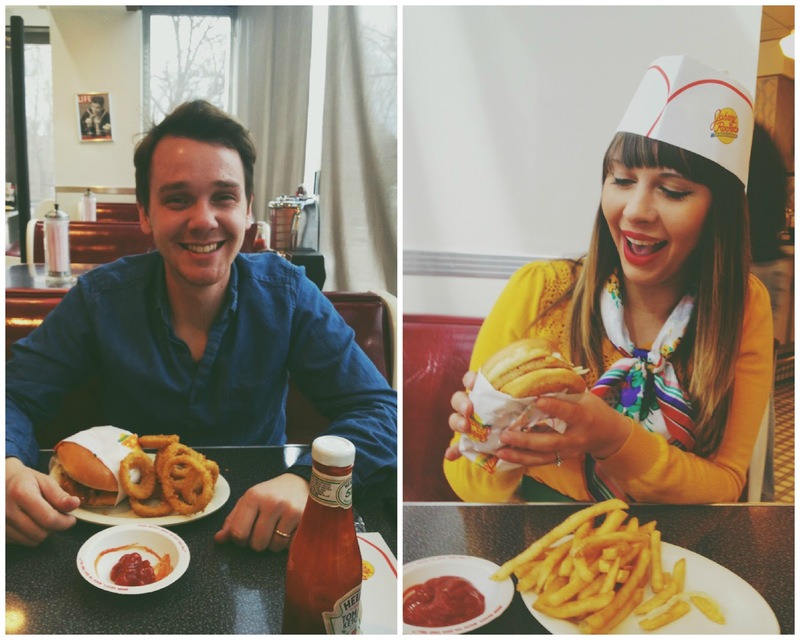 they are the veritable crowns of johnny rockets customers. also, the first thing i said when we sat down: "gosh, i wish hound dog was playing." and the next song that played: hound dog. and then i said, "i wonder if i'll cave and get a chocolate shake." to which robbie replied, "i think it's a question of when, not if." and we had a long, nerdy talk about neuroscience. and then a 3-year-old girl told me i was pretty. 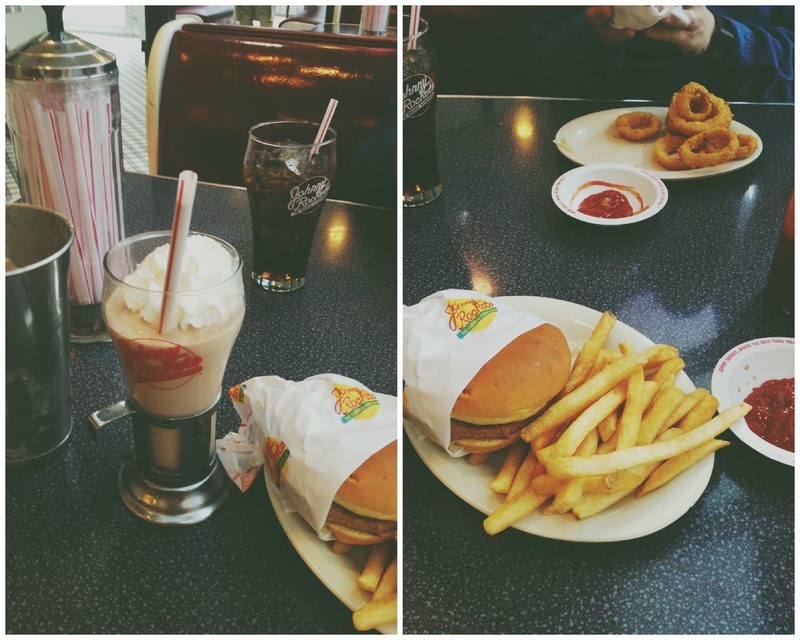 so it was possibly the best johnny rockets date ever. The chocolate milkshake looks divine! UM YES. Yes to the milkshakes. And Hound Dog. Haha, me and my boyfriend have just been swooning over your burgers... They look ahh-mazing! lol I love when little kids tell you you're pretty! Aww, sounds like a lovely time! I have yet to go to one, but when I do, I'm definitely going to ask for a hat. why do places like this not exist around here? adorable! Have you had the vanilla Coke shake? I love it and miss it and crave it. We don't have them in Australia :( and I am envious about those hats! I haven't read your blog in about 3 months because I have been busy enjoying the sun.. Boy am I glad to be back here... best feeling! Thanks so much for the post! We're so glad you loved the Veggie Burger and Chocolate Shake. We enjoyed reading about your experience and loved the pictures! We hope to see you again sometime.